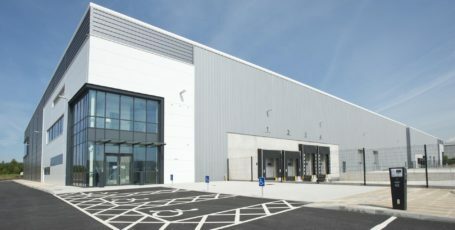 The first phase of Multiply – a new commercial development being delivered through a joint venture between Harworth and the Lancashire County Pension Fund (“LCPF”) at Harworth’s Logistics North site in Bolton – has been practically completed, with three new commercial units ready for occupation. 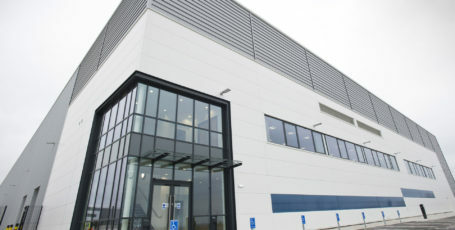 The units, which are 63,070 sq ft, 55,660 sq ft and 44,771 sq ft in size, have been built as a response to the lack of high quality units available to businesses in the North West and are aimed at businesses seeking units adjacent to the motorway network for rapid access to the rest of the region. 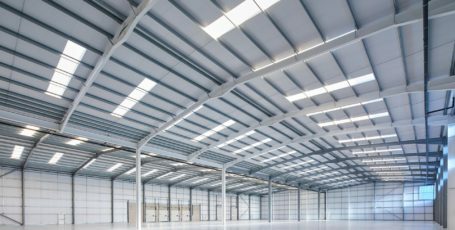 This first phase forms part of a three-phase scheme to construct ten new commercial units totalling approximately 564,000 sq ft, across 31.2 acres over, the next eighteen months. 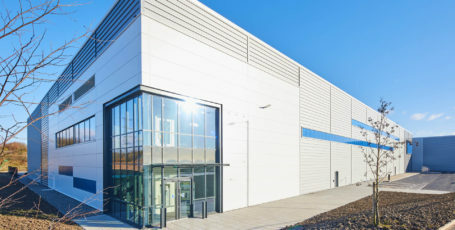 Harworth received outline planning consent for Logistics North, the largest live commercial development in the North West of England, at the end of December 2013. To date, over 1.5m sq ft of commercial space has been built with a further 1m sq ft under construction or committed to be constructed. More than 1,500 people are employed on the site by occupiers including Aldi, Whistl, MBDA, Greene King, Costa and Komatsu. 2018 will see Amazon and Lidl open their respective units on-site, increasing employment numbers further. Once complete, Logistics North is expected to deliver around 5,000 jobs. The completed Multiply units have been built to a specification designed to offer high quality and flexible business space to occupiers. This includes a BREEAM rating of ‘very good’, office space comprising 5-10% of the overall internal area, secure service yards with 38-50 metre depth and bespoke fit out solutions being available. Buckingham Group acted as principal contractor, whilst B8 Real Estate and JLL are retained agents for all of the new commercial units. “I am delighted that Logistics North will continue to create more jobs for our residents. “Logistics North is the largest industrial development in the North West and we know that demand for units there is high. I am sure high-quality companies will continue to be attracted to the development and come to Bolton, which will bring further jobs to the borough. This milestone follows a series of developments in rapid succession on-site in 2017. In January, Whistl, the second largest postal operator in the UK, announced its decision to take a ten-year lease on M&G’s Logistics 225 unit to expand its existing mail, packet and parcel and ecommerce business. More than 300 staff began working from its new depot in May. At the end of June, Olympic cycling gold medallist Jason Kenny opened Aldi’s new c. 18,500 sq ft store that will employ around 30 members of staff on a plot immediately adjacent to Junction 4 of the M61. Aldi already employs 550 staff at the development within its 610,000 sq ft regional distribution centre, which opened in April 2016 and features a whole floor dedicated to the Academy, Aldi’s recruitment and training department. This was followed by the completion of two other developments on site in August, with the opening of Greene King’s new ‘Pine Tree Farm’ pub and a new Costa drive-thru facility close to the entrance of the site. Multiply Logistics North, a joint venture between Harworth and the LCPF, was created in May 2017. The agreement involved LCPF funding 80% of the acquisition and the development, with Harworth funding the remaining 20%. The parties took corresponding interests in Multiply Logistics North. Harworth will undertake development management and asset management roles within the joint venture, including on these first three completed units. The LCPF is advised by Local Pension Partnership and Knight Frank Investment Management. Aldi has ambitious expansion plans... the Logistics North site provides the perfect environment. Our aim is to attract great businesses and create thousands of jobs on the site, which is one of the few with space to build a single building of up to 1m sq ft.
We’re pleased to be working alongside Harworth Group in delivering a key scheme that will have clear longterm benefits for Bolton and the wider Manchester region. Landmark development attracting high-value employers, creating highly sought after jobs and securing millions of pounds of new investment over the next 15 years.